How big is one billion? If you had a billion dollars and invested it in a business that lost a thousand dollars a day, do you know how long it would take you to go broke? Answer: Two thousand years! If the pen on your desk were enlarged a billion times, the point would be longer than the Mississippi River and the cap would be big enough to enclose the Earth. These are the types of cool facts that you can learn from this intriguing book. Although few of us really understand figures greater than a few thousand, we live in a vast world of numbers. Puzzles, Games, and Tricks confronts this world in a fun, informative, and accessible way. 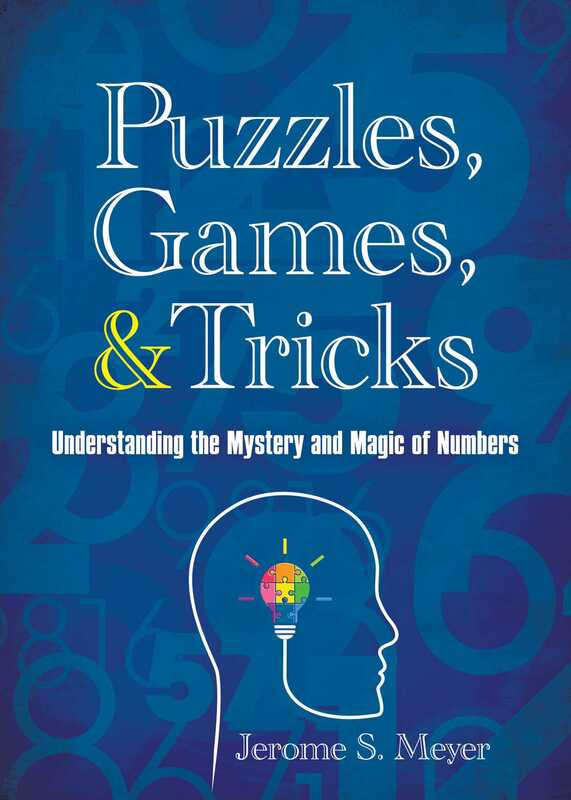 Contained within its pages is a gold mine of information for readers to absorb and comprehend, including mathematical puzzles, formulas, games, and tricks that will captivate readers young and old. Author Jerome Meyer provides a fascinating and amazing key to the magic world of numbers. Readers will find Puzzles, Games, and Tricks one of the most readable books on mathematics ever published.